Isn’t this cover stunning? I couldn’t wait to share it with you! 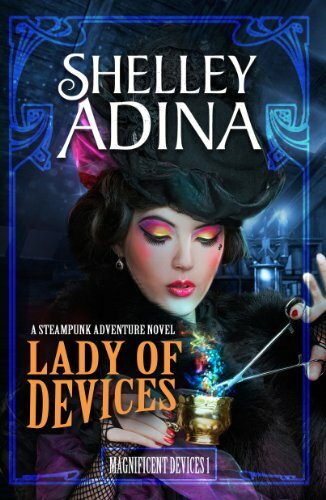 Book three of the Mysterious Devices series of clockwork cozies set in the Magnificent Devices world! 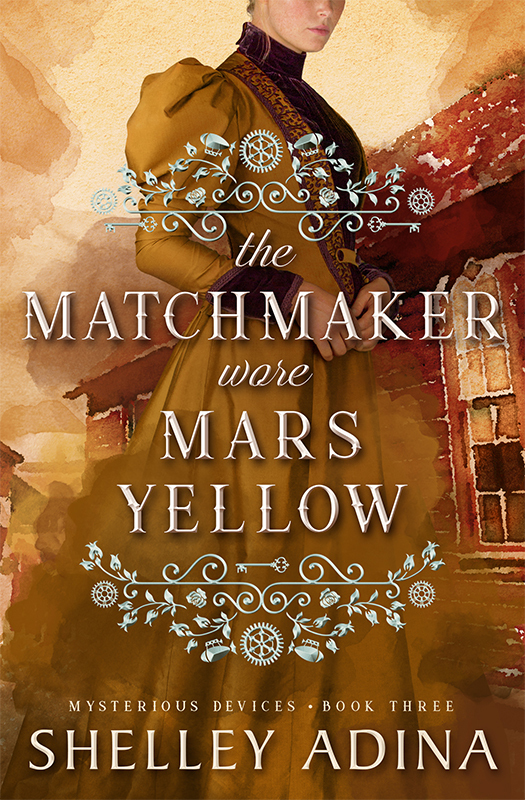 Daisy and Frederica Linden have tracked their missing father to Bodie, the most dangerous town in the Wild West, where bad men murder without guilt and single ladies are as rare and valuable as gold. Here they must depend upon the help of the society of absent friends, that secret network of boardinghouse keepers who know everyone’s business—and make secrets their stock in trade. But some secrets are fatal, and when the local matchmaker pays the price with her life on the night of the Autumn Ball, the ladies of the society beg Daisy and Freddie to help them find the killer of their fallen sister. Aided by Miss Peony Churchill, an intrepid family of aeronauts, and a Rocky Mountain Detective, the Linden sisters must see justice done and unmask a deadly conspiracy. But in a town where murder is more common than spiked absinthe, will they find themselves in the killer’s sights instead? Love the watercolor effect- eye-catching! Is that mars yellow? And it’s a lovely cover! It is Mars Yellow! Who knew that it was a tawny gold? I also liked the reference to “mars,” the god of war. Because something close to that is about to break out in alt-history Bodie! Beautiful cover for a great book no doubt. Can’t wait, can’t wait, can’t wait!!!! !